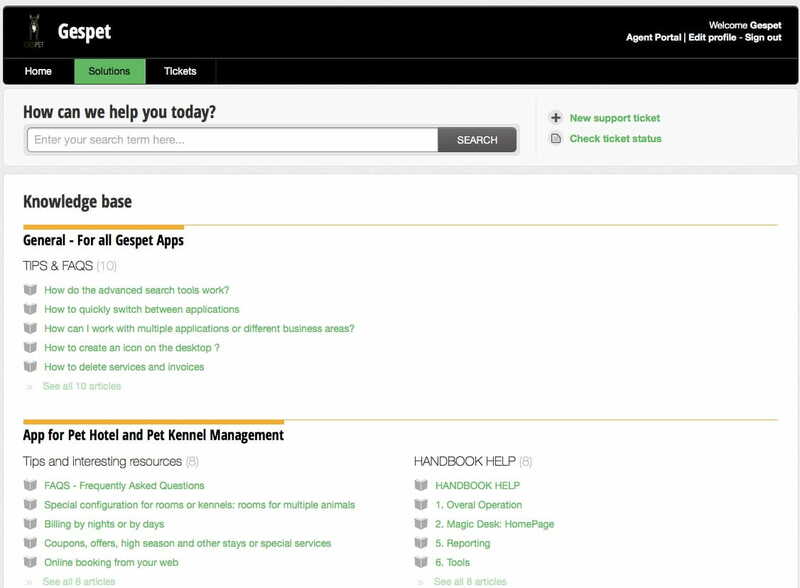 Help Desk: How to use it, how to capture your screen and more. 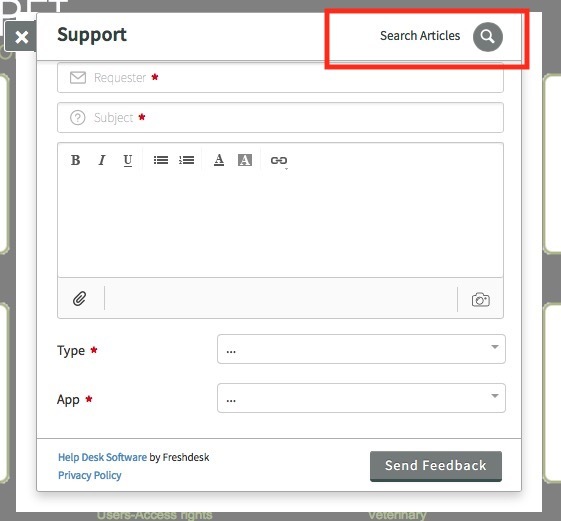 No need to leave your application; on the left side you'll see a button support and if you click on, you can send directly an issue or query help on any aspect of the apps. 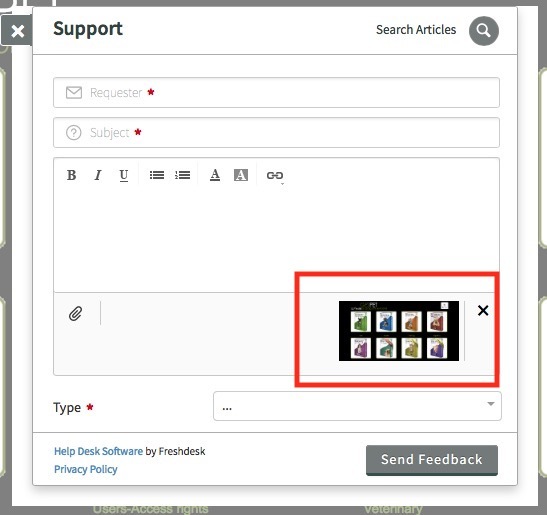 Characteristics of the support and the "tickets"
In the support area when you create a new query or send a new message it is called "ticket". As you know, the support is unlimited, that is, you can create as many tickets as you need. SWe will always answer you clearly, directly, with examples and complementary help whenever possible. Open: It is state 1, that is, when the ticket has just been created but has not yet been answered. Waiting on customer: When we are waiting for you to send us more information, or confirm that the problem has been solved, for example. After 48 hours, the system will automatically mark it as "Closed"
Resolved: When we have solved an incident or the question is already answered, we mark it as solved; Again, the system will automatically mark it as "closed" after 48 hours of inactivity. Closed: The matter is concluded or finalized. At any time you can re-open the ticket, this only means that for the moment this question is considered finished, but you can recover it whenever you want. Keep in mind, that for different matters, it is preferable to create a new ticket, because in this way, it is easier to identify it, assign it to the correct department and read all the messages. In a ticket you ask us a question or tell us about a problem. If you want to send us a suggestion that you find interesting to include in the software, or have a problem with Paypal for a payment, or any other matter ... you can create as many independent tickets as you wish. Also, if you had an access problem or you had an error last year and you created a ticket, and now something similar happens to you again, please create a new ticket, since it is a problem that is happening now and if you open an old ticket that already includes many messages or "answers", it will be more difficult to follow. If you send us the complete information, we will solve it faster. We do not see what is happening to you, so we need you to tell us. 4. Clearly indicate what action you are performing, what is the expected result and what is the result obtained. So, we can recreate the features of your operating system / browser to reproduce that error and solve it. In many cases, it will be very useful to send us a screenshot of what is happening. 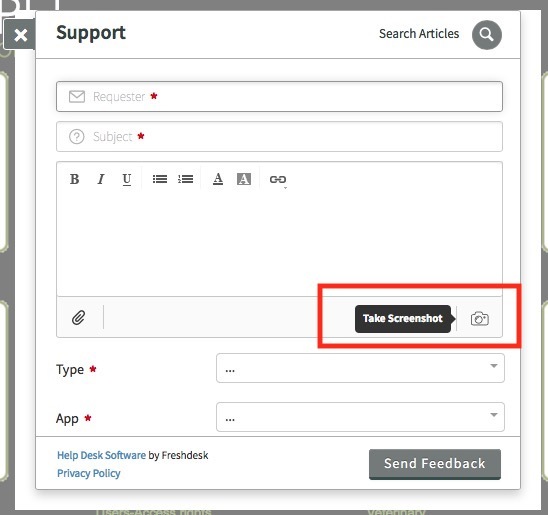 Automatically a screenshot is attached to the message, you do not have to do anything else. Do you prefer to show us in a video that is happening? Recording with the mobile phone (or cell phone): You can do the same process that was causing you problems, for example add a new client and while you do it, you can record it with your phone and send that video attached to your ticket or message. - QuickTime. If you use iOs (Apple) by default the QuickTime App is installed and with it you can record what you are doing on your screen. In QuickTime, File> new screen recording. - PowerPoint: On the Insert tab, in the Images group, click Screenshot. - There are many free apps, which are really easy to use and with them you can do the same: capture the screen while you are working, such as KAP, OBS Studio, etc. After you have your screen saved, you just have to save the file and send it attached to your ticket. We remind you that you have the manuals (hand-books) of each application. The use of all the features is explained in detail in these manuals. If you consult the manual, you will learn tricks or tips to get the most out of your app. 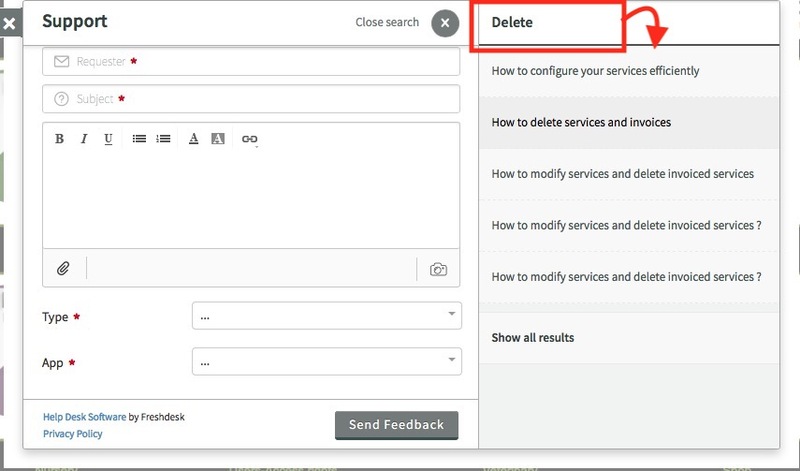 Write what you want to find, for example how to delete an invoice and below you will see all the results. Click on the one you want to open it and read it. - Or you can consult the different articles or manuals of the knowledge base and look for what you want. You can send us suggestions for improvements, suggestions, new ideas that you consider interesting to improve the software, ... we are happy to hear your opinion.